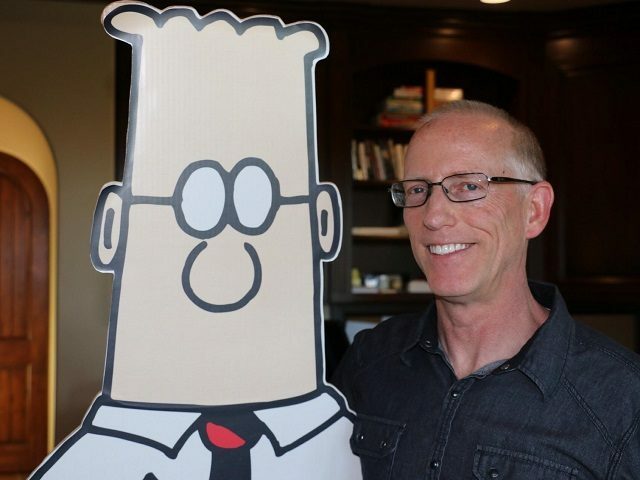 Scott Adams, creator of the Dilbert cartoon and a keen observer of the human condition, has come out and tweeted what many whisper behind closed doors: The Islamic State is rooting for a Clinton victory on November 8. Adams has answered publicly the question why the Islamic State has been so silent as of late, after a long spate of regular terrorist attacks. “If there are no sponsored terror attacks before Election Day, it means ISIS prefers Clinton. They have the means. Think about it. #Trump,” Adams posted to his Twitter account. Salon Magazine went into conniptions over the Tweet, calling Adams a “fringe troll” who became famous for something “only marginally related to politics,” in reference to his award-winning satirical comic strip, which has run for the past 36 years. “As such, it’s best not to engage him,” Salon writer Brendan Gauthier counseled. “What matters is that Clinton’s framing of Trump provides moral cover for any bullying behavior online or in person,” he noted. “The Clinton message is that some Americans are good people and the other 40% are some form of deplorables, deserving of shame, vandalism, punishing taxation, and violence,” he said.